This is a guest post by Laura Braden Quigley, the owner of LBQ Strategies. Professionals in the public relations industry take that phrase to heart because it’s the driving force behind our ability to tell compelling stories that move targeted audiences to feel or act in a way beneficial to our clients. And nowhere is that sentiment more prevalent than in the emerging legal cannabis industry. 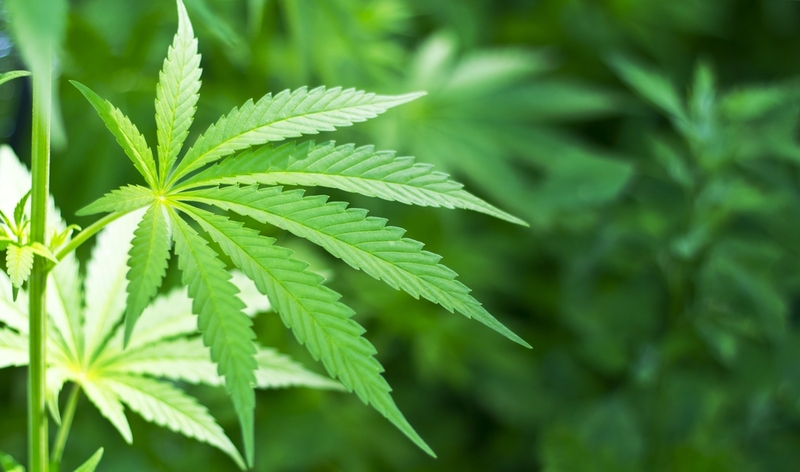 Twenty-four states and Washington D.C. have already legalized the medical use of cannabis. Alaska, Colorado, Washington State, Oregon and Washington D.C. have also legalized its social use – with at least 10 states considering the same path this year. The majority of Americans now support legalization, and America’s 2015 cannabis sales surpassed Dasani, Oreos and Girl Scout cookies. In fact, a recent report by New Frontier and ArcView Market Research estimated the industry would grow to $7.1 billion in 2016 – a 26 percent growth over the previous year, largely driven by adult social use. With growth comes opportunity, and every day, new PR, marketing and advertising firms are jumping into an industry that has the look and feel of a startup – with the baggage only an 8,000-year-old plant can produce. The following terms and slang have negative connotations that reinforce the very fabrications propagated to sell prohibition in the first place. It’s not a matter of removing them entirely from your vocabulary, but it’s critically important that those new to cannabis understand the history, context and usage when working with clients. Marijuana: After the Mexican Revolution in the 1900s, America predictably saw an uptick in immigration from Mexico, and one of the cultures/customs they brought with them was the use of cannabis as a relaxant and medicine. It’s important to note that Americans were already familiar with the term “cannabis” because it was widely available at the time. The term “marijuana” was injected into the national conversation as a way to stigmatize the plant’s association with “disruptive Mexicans.” Much like San Francisco’s ban on opium as a way to control Chinese immigration, marijuana became a code word for anti-immigration sentiment. This story is largely forgotten today, and the use of the word remains widespread. But spend any time with this industry, and you’ll quickly realize that most people prefer using the Latinate name, cannabis, as much as possible. Weed: Cannabis isn’t a weed invading your garden or ruining your rose bushes. At all. It’s a beautiful plant with countless strains that each produces a unique leaf design, shape, smell, taste and experience. In fact, many growers plant vegetables and fruits alongside their cannabis to maximize land resources and output. Stoner: One of my favorite Bill-Maher-tirades focused on the need for “regular” Americans to come out of the cannabis closet… and until that happens, untrue stigmas will persist. One of the stigmas that tops this list? The media’s portrayal of a dopey stoner that’s too lazy to contribute to society. In reality, today’s cannabis users include grandmothers with chronic pain, veterans suffering from PTSD and young children with seizures. And all cannabis products aren’t created alike – some will help you sleep and relax while others make you feel quite alert and creative. I compare it to exercise – some types like yoga and swimming help joints, posture and alignment while Crossfit, Zumba and cycling classes help metabolism and cardiovascular health. Until the optics of what a cannabis user looks like changes, the stigma (and the federal government’s proclivity to declassify) will persist. Recreational Use: The term “recreational” annoys many in the industry because it doesn’t depict the actual use of cannabis. Going to Disneyland is recreational. Cannabis can heighten nature, food and concerts. It can help you reconnect with your spouse, and it can cause useful epiphanies on old personal traumas holding you back. Virtually no one refers to himself or herself as a recreational drinker because its applications are social. While the effects of cannabis are in stark contrast to alcohol, the verbiage is similar.